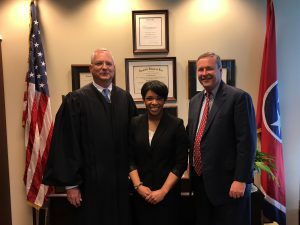 (Nashville, TN)–District Attorney Glenn Funk has announced the appointment of Ardath Griffin to the position of Assistant District Attorney in the Domestic Violence Division. 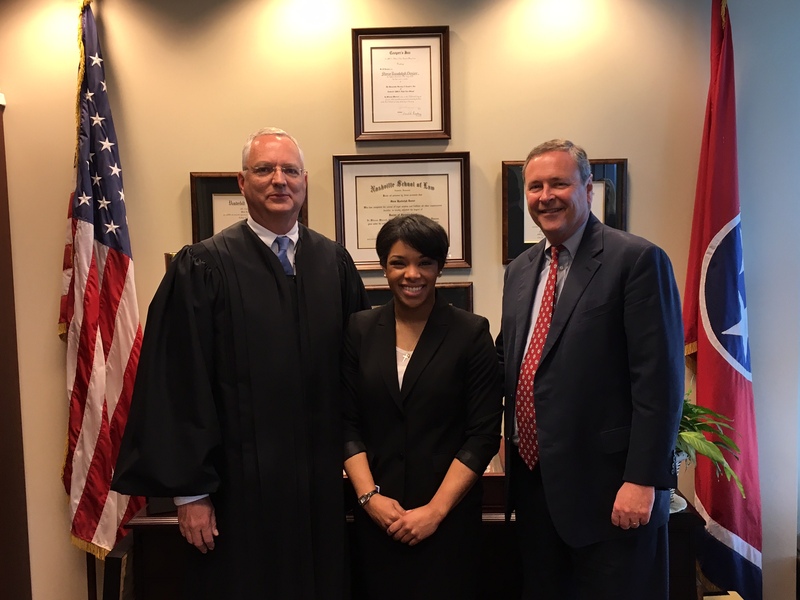 A 2015 graduate of Belmont University School of Law, Griffin was sworn in on April 19, 2016 by Criminal Court Judge Steve Dozier. She previously served as a staff attorney and intern in the Juvenile Division of the DA’s Office. “General Griffin brings an energy and advocacy to the DA’s Office that will greatly assist victims and ensure perpetrators of domestic violence are held accountable,” District Attorney Funk said. Griffin also adds to the diversity in the office which has been a priority for District Attorney Funk who believes that true diversity leads to true justice. Funk has appointed the largest number of Latino and African-American attorneys in office history, as well as the appointments of minorities to other key leadership positions. “I am honored by the opportunity to serve in the District Attorney’s Office and I look forward to contributing to the efforts already being made toward improving the lives of Davidson County residents,” Griffin said. Griffin is a native of Ohio and received a Bachelor’s Degree in Psychology with a concentration in Criminal Justice from the University of Cincinnati.